A moving and thrilling 3D animation adventure for the whole family. This story about the power of friendship and the victory of love over hate is fast-paced and entertaining, with lots of twists and turns, featuring top-notch animation and an unforgettable soundtrack. 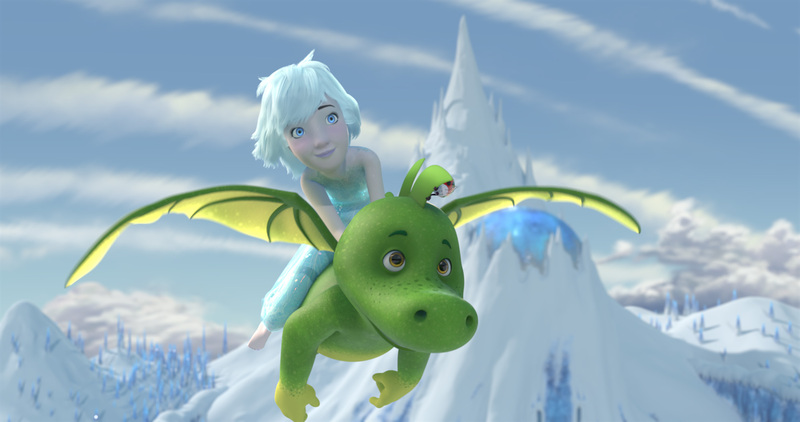 After the world-famous hit TV series, the brave little dragon and the sparkling ice princess finally conquer the silver screen! Sven Unterwaldt was born in Lübeck in 1965. A well-known name in the German comedy scene, his films include ANTRAG VOM EX (TV, 1999), the TV series SWITCH (1997-1997), ANKE (1999-2001), ALLES ATZE (2002), and BERLIN, BERLIN (2002), as well as the features WIE DIE KARNICKEL (2002), 7 DWARVES (2004), SIEGFRIED (2005), 7 DWARVES - THE WOOD IS NOT ENOUGH ( 2006), U-900 (2008), HELP, I SHRUNK MY TEACHER (2015), IT'S YOUR TURN, HONEY (2017), and TABALUGA (2018).